Medical marketing goals for your practice are essential if you want to continue to expand and provide valuable services to your patients. Do you have a marketing strategy in place? If so, how is it working so far this year? Have you gained any new patients? Have you expanded your influence online and through social media platforms? If not, it’s never too late to continue to develop your medical marketing goals. Whether you currently have a successful medical marketing plan or not, make sure to incorporate these three key goals to continue to improve. In the marketing world, there is a saying that “Content is king.” Developing quality and relevant content for your website and blog is the best way to show the world your areas of expertise. Becoming a known authority on a topic can really benefit your medical practice. Whether you’re an oral surgeon, an orthopedic surgeon, or a physical therapy office, people want to know that you know what you’re doing. Some people may not want to call your office and ask a bunch of questions, but they might like looking through your blog posts and reading on their own time. More content will get you more traffic to your website. 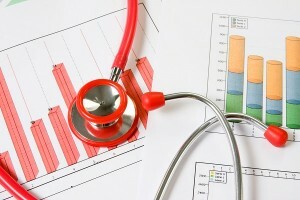 Incorporate this key medical marketing goal into your strategy and enjoy the results. One of the newer but important medical marketing goals is to expand your social reach. The medical world is slowly becoming more and more active on social platforms. Don’t be left behind – go where your patients are. You instantly become more relevant and accessible to certain target audiences if you have a social media presence. As you create more content, use your social media platforms to share that content. Your patients will appreciate being able to connect with you a new way on their own familiar territory – Facebook, Twitter, etc. While developing quality content takes time and effort, posting things on social media can be faster and more casual but it will help you stay available and on people’s minds. The most important medical marketing goals are only achieved by looking ahead to the future. While you create more content and develop your social media presence, don’t forget to look forward to next year. Where do you want to be in a year from now? It’s never too early to start planning your marketing goals for next year. Focus on areas in which you want to grow and then come up with creative ways to market your office. And if you need help, contact Farotech. We specialize in helping medical practices develop and implement their marketing strategies.